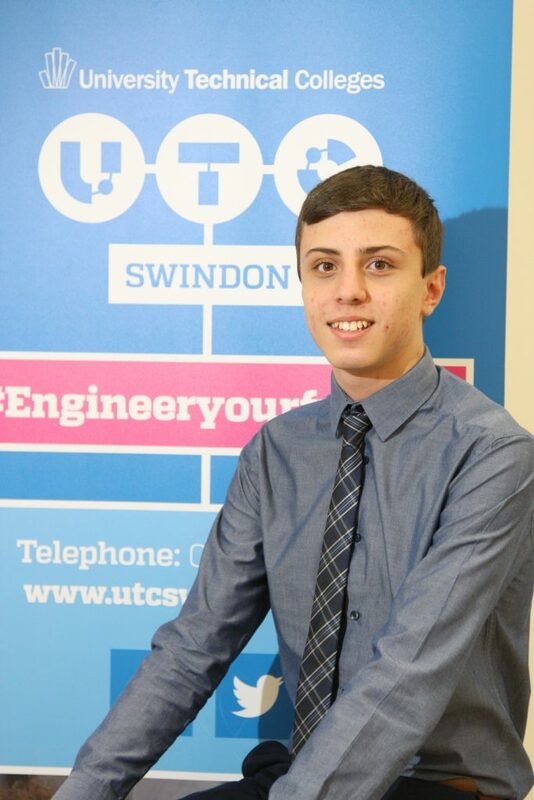 A UTC Swindon student has secured an apprenticeship with Rolls-Royce, after competing against around 30,000 applicants across the country. After submitting an application form, cover letter and CV, Year 11 student James Jardim was required to complete some challenging online tests before being invited to an assessment centre. Following a long day of interviews and tests, James has now been offered an apprenticeship to begin once he has completed his summer exams. James said: “I completed a week of work experience with BMW last year where I experienced some maintenance and I really enjoyed it, so when I was asked which areas I’d be interested in going into during the apprenticeship I said that was something I was keen to do more of. James’ apprenticeship will take him four years to complete. At first he’ll be spending four days a week in college and one day at the plant, before progressing to spending most of his time in the plant in his second year. In his third year he will be completing different placements all over the country. We are delighted that James has managed to secure such a prestigious apprenticeship and wish him the best of luck.